There are all types of lists for parents. 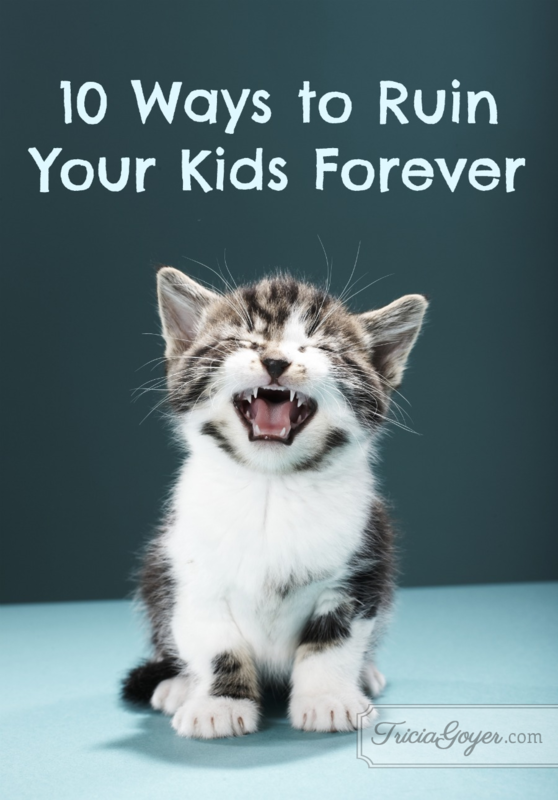 If you want a list to ruin your kids forever, here’s a list for you. 1. Give your kid everything he wants. Don’t deny what will truly make him happy. Overvalue money and things in his eyes. 2. Dress your child in designer clothes, no matter the cost. Show her that her outward appearance matters most of all. 3. Place your child’s needs over that of your spouse’s. If he cries, run to him immediately. If he interrupts, give him your full attention. 4. Entertain your child throughout the day. If she wants to play tea then put your plans aside. If she wants to watch her favorite movie for the 100th time then forget your idea for going for a walk and getting some sunshine. 5. Plan your menu around your child’s desires. No child should have to eat something he doesn’t like. If, by chance, you want to make something other than macaroni and cheese or peanut butter and jelly, feel free to cook your own meal, just as long as you have time to fix what your child likes. 6. Sign your child up for as many extracurricular activities as she desires, even if it means giving up your evening plans on a regular basis. Don’t worry about trying to gather around the dinner table. He can only be in the Junior Soccer League for so long and you don’t want him to miss out. 7. Don’t discipline your child when she acts up. Everyone should learn to express herself in her own way. If she demands something, then applaud her efforts. At least you know that she will not be a pushover or a doormat in this world. 8. Don’t worry when your child fights with neighbor kids or even when he is a bully. Life is not fair and someone always has to be the underdog. At least your child is learning to elbow his way to the top at a young age. 9. When your child has a disagreement with her teacher, always choose your child’s side. Don’t show up when the teacher wants to discuss your child’s problems. The teacher will want to take a course of disciplinary action and that’ll hurt your child’s feelings. 10. Don’t share your faith with your child. After all, you don’t want to offend. Give your child the option if she wants to hear Bible stories and don’t pressure her to memorize Scripture verses. She might get disheartened if she doesn’t get it right the first time and you’ll ruin her self-esteem. More than that, you don’t want her to know there’s a God who runs the universe, makes the rules, and determines eternity. The thought is too hard and your child might not understand. More than that, she won’t be self-dependent and strive to be a good person. Do you see your parenting shine in any of these areas? Yes? Then congratulations! You’re on your way to succeeding at your goal of ruining you kid forever. Keep up the good work… and then just take a moment to consider what type of an adult your child will grow up to be–one that will stand out about the crowd, without a doubt! Thank you for the beautiful opportunity to invest in the adults my children will one day become. As I parent them, help me see the areas I can improve. I look to You for guidance and strength. On sale for a limited time! 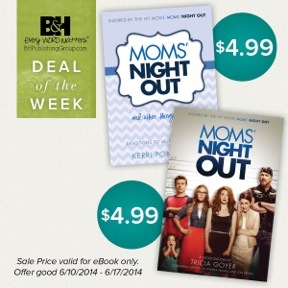 Pick up a copy of Moms’ Night Out ebook for just $4.99 for Kindle, Nook, and iBook. I have a few books on sale right now! Generation NeXt Marriage is $2.99. You can also get my four World War II novels in the Liberators Series for $13.99. Unfortunately, I don’t do any of the things on this list, so I need to get started if I want to ruin my children. *Sigh* (I hope you heard me “say” that tongue in cheek, so to speak.) But it’s a great list, and it made me laugh! I especially enjoyed #9 since we homeschool. Hee hee! I always take the teacher’s side! ….Well, not always, since sometimes the teacher is wrong. But that just leads to a lesson in forgiveness.